Sorrento Cycling Club | Wicklow is our Playground…. 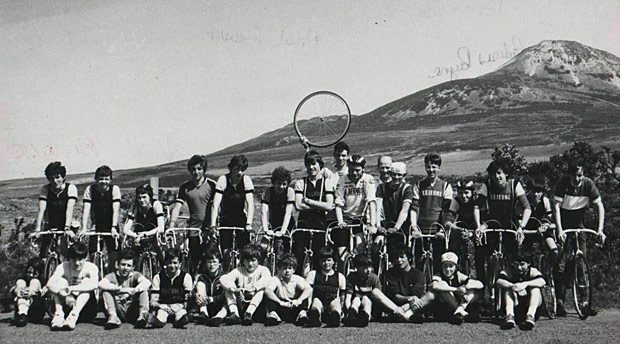 Sorrento Cycling Club was originally formed in 1968 in the Dun Laoghaire / Dalkey area of Dublin and is an affiliated member of Cycling Ireland, the National Cycling Body.We are now located in the Delgany/Greystones/Bray area of Co.Wicklow. We currently have over 60 members from all over South Dublin and throughout Wicklow. The club is active in a wide variety of cycling aspects such as Road Racing, Mountain Biking, Track Racing, Leisure Cycling and Cyclo-Cross. We run regular events and tours on Road Bikes and we are also involved in the administration and running of open competition events. Wicklow is our playground!! During the year we will be running a number of introduction to cycling events,why not come along and try out a fun outdoor activity?